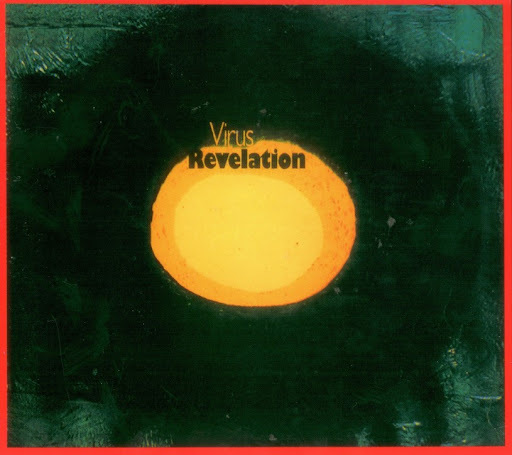 With Revelation, the young heavy psychedelic rock group Virus produced one of best early progressive albums in Germany - indeed it was a revelation! Their style was strongly influenced by Pink Floyd (David Gilmour) and Deep Purple (Ian Lord). The album had five long tracks. The title track included an instrumental classical adaptation of the Rolling Stones' "Paint It Black". Their instrumental work was even better on the 12 minute "Endless Game". The varied album also had a more hard rocking track named "Burning Candle". Finally "Nur Noch Zwei Lichtjahre" guided the listener into deep space, much like a mellow and matured "Interstellar Overdrive". The album was recorded in Star Studios, Hamburg and produced by none other than Konrad Plank. Virus were Werner Monka, Jorg-Dieter Krahe, Bernd "Molle" Hohmann, Reinhold Spiegelfeld and Wolfgang Rieke. The nickname "Molle" on the sleeve of Revelation was mistakenly connected to Werner Monka. Great,great album I've got it already on the shelf! Thank you very much for this virus. Great post! Thx a lot!!!!! thx yet again --been awaiting opportunity to hear some Virus.